Have you considered car sharing? 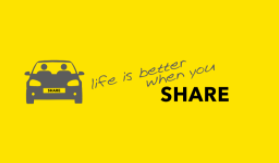 If you would like to try car sharing but have no one to car share with, try searching our car share database UniShare South East which we share with Canterbury Christ Church University and the University of Greenwich. Don’t forget that if you have a car share parking permit you can park in the trial pink zone car share bays within the Estates car park. Find out more about car sharing on campus. This entry was posted in News and tagged car share bays, car share permits, car sharing on November 12, 2018 by Miriam Sandiford.